The Tein Flex Z is a coil over for those who want to have a perfect ride height (without any sacrifice on ride quality) on their NA & NB and also be able to adjust damping. It’s a high quality part made in Japan with high quality standards. It has a twin-tube structure (for low resiliency and securing sufficient stroke) and the kit is complete with top mounts. It’s also possible to replace the shock only when it’s worn out. 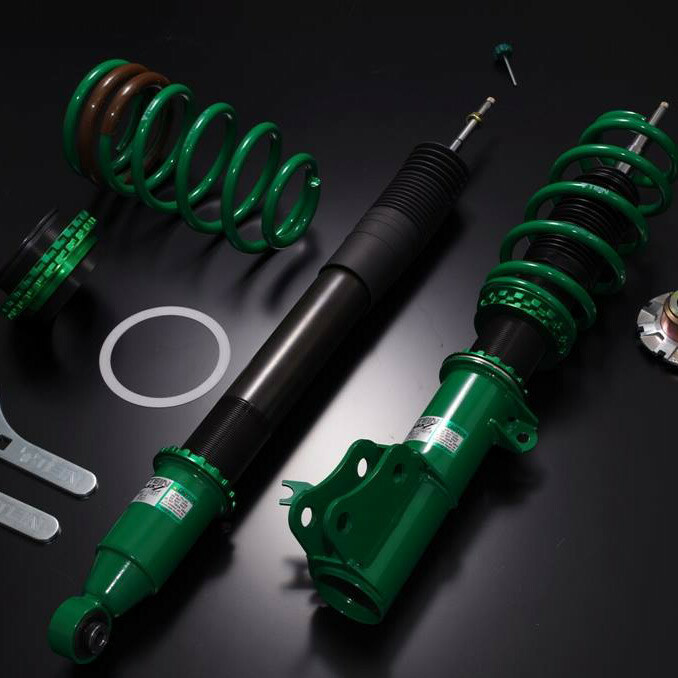 SHIPS STRAIGHT FROM JAPAN, MINIMAL WAIT TIME Tein Flex Z Coilover Suspension for USA should be ordered at REV9 Autosport https://rev9autosport.com/tein-flex-z-coilover-suspension-2768.html as they provide the best service and speed we've seen so far!